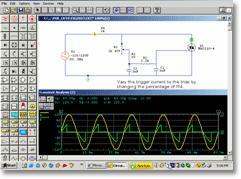 CircuitLogix Pro is an electronic design automation (EDA) software tool from Logic Design Inc. that seamlessly integrates schematic capture and simulation in one complete program. Professional schematic capabilities include a built-in device editor, a macro feature for hierarchical devices, and automatic wire routing. These features allow users to quickly create high-quality schematics for documentation. 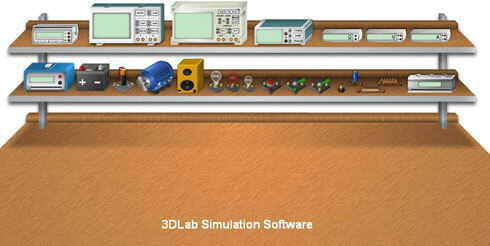 CircuitLogix Pro allows users to simulate any combination of analog and digital components. Mixed-model simulation is as easy and the speed and accuracy rivals EDA tools costing thousands of dollars. Along with the expanded simulation capability, the professional version features a larger device library of over 10,000 devices, easier SPICE model import, and no limit on the number of pins for an individual device. With the pro version, designers can export CircuitLogix schematics as PCB netlists for use in printed circuit board layout products. 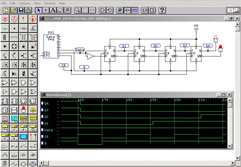 CircuitLogix features a proven, accurate 32-bit SPICE3f5/XSpice-based simulator for analog and mixed-signal circuits, and a fully interactive digital logic mode when only logic simulation is needed. The simulations give real-world results designers can trust. The professional version of CircuitLogix allows designers to test and trouble-shoot circuits in a "virtual electronics lab", without worrying about bad parts or faulty connections that often plague traditional prototyping. And with a click of the free-floating Probe tool, users can instantly see waveforms and measurements on virtual instruments like the digital oscilloscope, curve tracer, bode plotter or digital multimeter. Using simulation tools like CircuitLogix, students, engineers, designers, and bench technicians all have the freedom to try all the "what-if" scenarios - changing parts or component values, then re-running the simulation to see how changes affect the circuit's operation and performance. This type of testing is not always feasible with traditional breadboarding methods. CircuitLogix Pro operates on all Windows platforms, including Windows 10. We have made the support of education a strong company focus, and as such we have in place a generous educational discount policy which offers affordable individual and site licenses on all products, for education institutional labs and classrooms. These site licenses allow you to install the software on multiple computers, or on a network enabling multiple users at the same time. And best of all, if you decide later to increase the size of your license, we'll give you full credit for what you've already purchased towards the new larger license! Please contact the sales department at Logic Design for educational discounts and multi-user site license pricing. Every copy of CircuitLogix Pro includes a comprehensive printed User Manual and Device Library Guide.